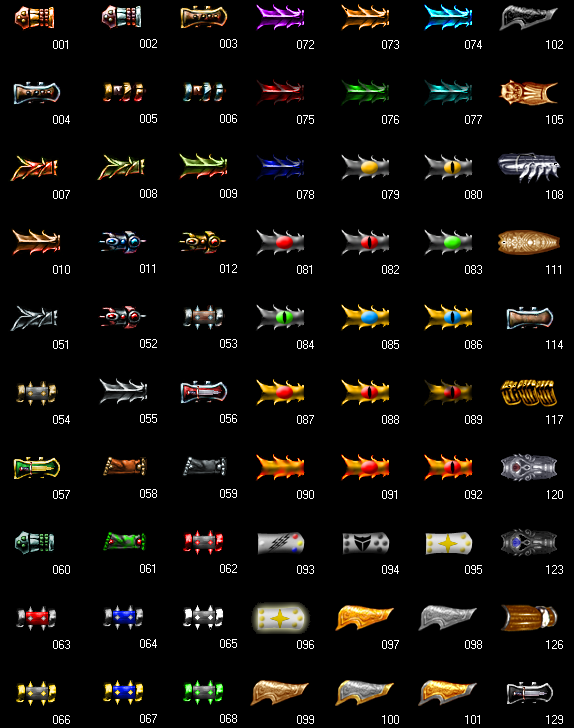 A reference of the misc. 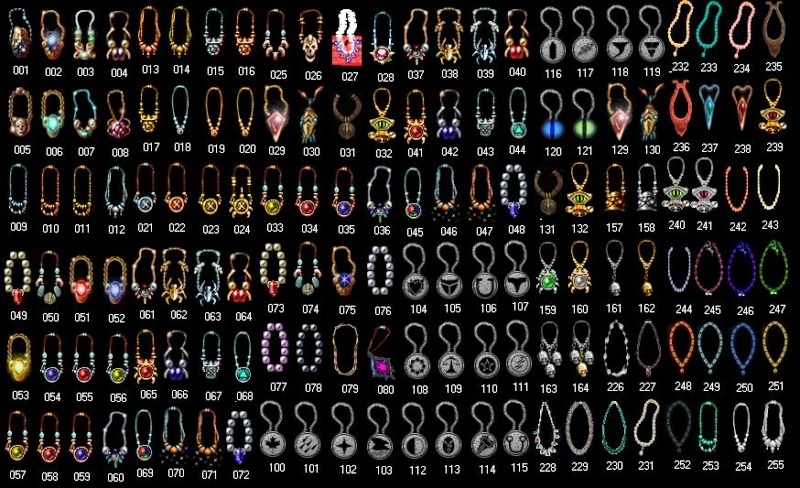 item icon appearances, and their associated numbers. Note, some appearances are restricted to voucher items/items already found as-is in the game. As I have not tested out each appearance, I do not know which ones are blocked and which ones are not. Best way to find out, is just to try them out. If you get the "Something prevents you from crafting this item" message, you either trying to set it to a blocked appearance, or have an item that cannot be crafted at all. 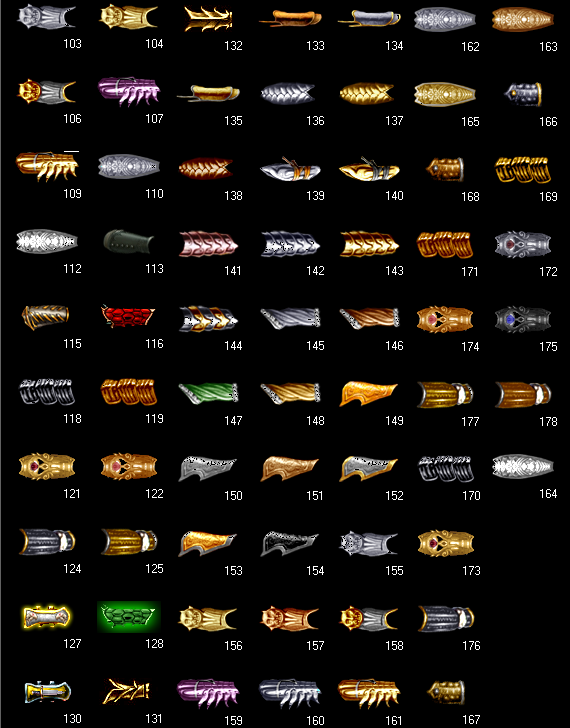 Belts, rings and amulets yet to come... Will add them to this post when the pngs are finished. Erm so to finish this off.... I give ye Amulets, Belts and Rings .... .. Note: when using numbers such as "001" and "023", you should leave off the starting zeroes...they're used in the file names, but the scripts and stuff reference the raw item appearance numbers..."001" is "1", "023" is "23", etc. Very nice! Great work guys! Huzzah! I may do an update to edit out the "prohibited' ones. 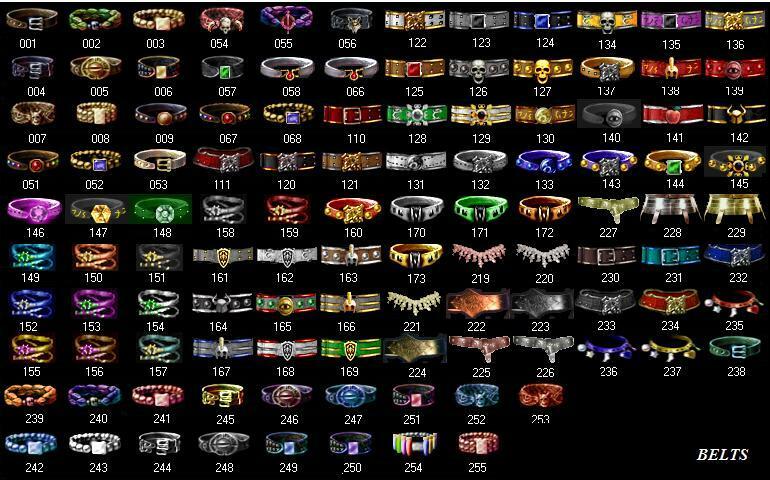 Not sure if any of the belts/rings/amulets are prohibited, but I do know mentioned once that for bracers, the "diety" ones (asis, torgat and dalix) bracer icons were restricted to voucher items. , I've tried changing ring icons, and every one gives me the 'something prevents you...' message. Are rings intentionally disabled, or is that a bug? *bump* - bug might not have been noticed in this section ?! I'm bumping this thread because I do not recall the ring appearance crafting issue being fixed ... has it, do we know?